Captain Laurie Scott is a native of Hemingway, South Carolina and was commissioned in 1996 through Officer Candidate School in Pensacola, FL. 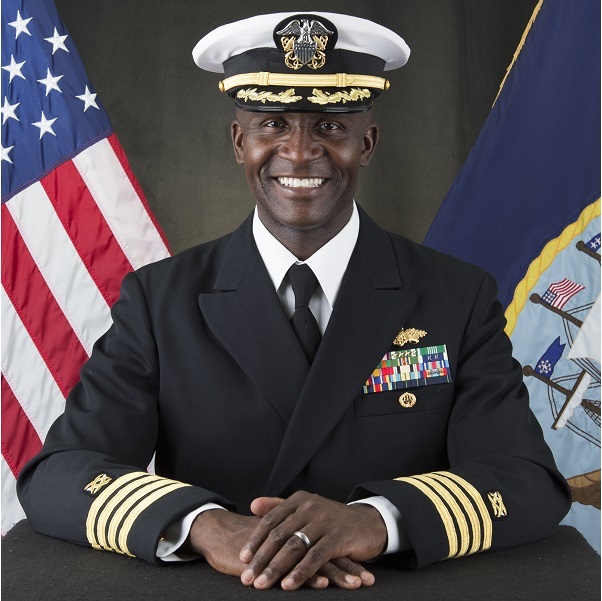 Scott assumed duties as Public Works Officer, Naval Base Coronado, in July 2017, managing a team of 475 professionals in providing engineering and public works services for 142 supported commanders across eight installations with facility assets valued at $7B. Scott’s previous operational assignments include Air Detachment OIC, Bravo and Charlie Company Commander, and Special Operations Force Support Platoon OIC while assigned to Naval Mobile Construction Battalion (NMCB)THREE; Chief Staff Officer for FIRST Naval Construction Regiment; Operations Officer for Naval Construction Group ONE/30th Naval Construction Regiment; and Commanding Officer of NMCB THREE where he was responsible for the well-being, training and operational employment of 581 Sailors in executing engineering missions with various countries around the world in support of United States national interest.